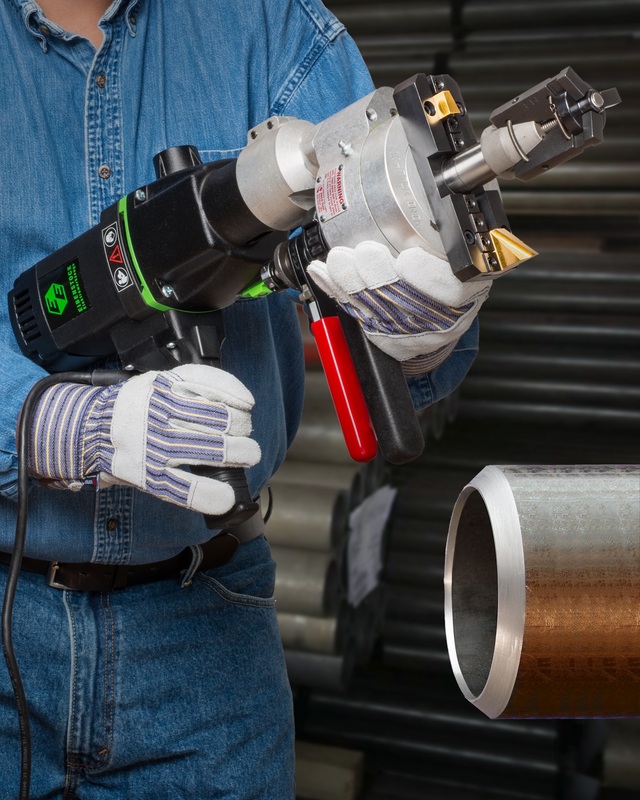 A new portable end prep tool that is ideal for metal fabricating shops and other applications where compressed air isn’t available has been introduced by ESCO Tool of Holliston, Massachusetts. The ESCO MILLHOG® Mini Electric Pipe Beveling Tool features an 1800 Watt 110/230 VAC, 40-60 Hz motor and a self-centering draw rod mechanism that rigidly mounts into a tube or pipe I.D. Developed for end prep applications where compressed air is not available, it utilizes the same wedge-lock blade locking system as the air-powered model and pulls a thick chip without oils. The ESCO MILLHOG® Mini Series I.D. Clamping End Prep Tool sells for $6,595.00 and is available for rent.